As a third-generation optometrist and owner of two practices in California, I was pleased today when Covered California announced it selected VSP Vision Care to offer access to vision care coverage for adults, a decision that will help reduce the gap in access to eye care in my state. 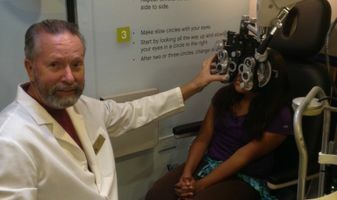 Not only is this a win for optometry in California, it is a step in the right direction for continuing to elevate the role of optometry across the U.S. While the value and concept of Vision Care Plans (VCPs) remain a topic for debate within the industry, one thing remains clear in terms of what they do bring – access and awareness. I hold myself accountable for attracting and retaining the patients who walk through my doors. From retail offerings to routine eye exams, my staff and I are the ones responsible to ensure that we are providing our clients with the products and services that address their wants and needs so they come back year after year. When the Affordable Care Act didn’t include vision care as an "essential benefit" for adults, it was a huge miss for our industry. We know the value that annual eye exams provide from a preventative health benefit, but how do we, as individual practitioners, spread that message widely? Efforts like what VSP is taking on to continue pushing to expand access to eye care within health exchanges helps drive the conversation around the benefits access to eye care provides as a key component of an individual’s overall healthcare. This elevated awareness of the role eye care plays allows for more patients to consider walking through my door. And once they do, it is up to me to ensure they see and experience the value it provides. Access and awareness means opportunity, and I for one see the value in that.